This beautifully designed wooden LED lantern finished in gray wash is perfect for your seasonal display. 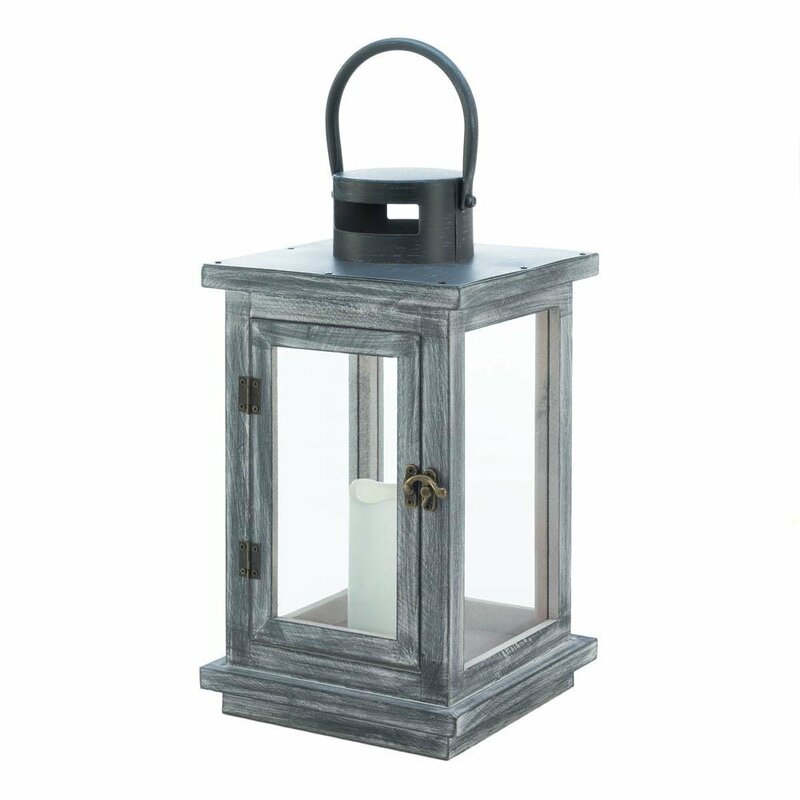 Crafted from iron and wood, this lantern features elegant luminary panels for a traditional look while the distressed finish in a gray hue adds rustic style. Weight 3.6 pounds. 7.75" x 7.75" x 17.8". Iron, Pine Wood, Glass, LED Light. UPC Number: 849179036782.